KGAL is launching its fourth Enhanced Sustainable Power Fund (ESPF 4) and expands its market-leading position in this segment throughout Europe. 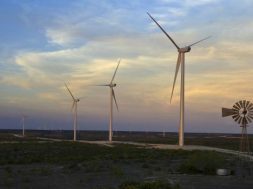 The new fund enables institutional investors to benefit from the existing growth opportunities and the stability offered by renewable energies. For the first time, the investment strategy encompasses the entire value chain spectrum within wind power, solar, hydropower and other renewable energy technologies. Investments in mature markets will focus on the development and construction phases, with brownfield investments in growth markets completing the portfolio. The fund will focus on European projects. The fund has a target volume of EUR 500 million and is designed for institutional investors. KGAL has maintained a longstanding presence in renewable energy markets and developed an extensive project pipeline for investing in both development projects and the secondary market. Moreover, ESPF 4 is investing in a renewable energies market which is expected to demonstrate significant growth, both in Europe and globally. The share of capacity accounted for by renewable energies within Europe is forecast to grow from 45 % in 2015 to 70 % in 2040, indicating an estimated additional capacity expansion of up to 1.000 GW and a corresponding capital requirement of more than EUR 1.0 billion until 2040. Europe has a well-developed and competitive renewable energy market and has made a binding political commitment to reduce carbon emissions and dependence on fossil energy sources. Moreover, increasing urbanisation and electrification are powerful arguments signalling rising demand for electricity and attractive long-term electricity prices. A comparison of electricity production costs reveals that the costs of wind and solar energy are already comparable to fossil energy sources such as coal. 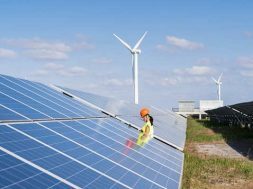 “The pace of change in the renewable energy markets requires a flexible, regionally diversified investment strategy optimised to account for investment cycles. The growing interest in renewable energy assets has squeezed returns in brownfield investments, with the result that risk-appropriate returns may not always be achieved. 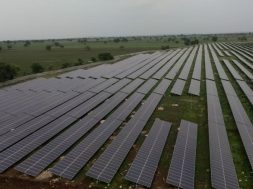 The premise of ESPF 4 takes this development into account and offers investors opportunity-based participation in the growth in renewable energies,” explained Michael Ebner, Managing Director of KGAL Investment Management GmbH and in charge of the infrastructure division within the KGAL Group.